A: The Honorable Minister Louis Farrakhan’s comments about 9/11, in this quote and in many of his speeches, eloquently express the doubts about 9/11 felt by many Americans – probably a majority. Despite the corporate media’s attempts to erect a facade of unanimity, while consigning the doubts to “conspiracy kooks,” polling data and my own experience talking to people from all walks of life suggest that faith in the official myth of 9/11 is, at best, a mile wide and an inch deep. Actually, I’m not even sure it’s really a mile wide. Depending on how you word the polling questions, you can get 80% of Americans to either go along with the official story or question the official story. The more straightforward polls accentuate the doubts. For example: Asked whether the government was telling the truth, mostly telling the truth but hiding something, or mostly lying, only 16% say “telling the truth.” No wonder Donald Trump can say “elect me and you’ll find out who really knocked down the Towers” and still win Republican primaries in landslide victories! If Americans really believed the official myth, no politician could say such a thing without losing virtually all of their support – especially in the Republican party, which was in power during 9/11 and its aftermath. The Honorable Minister’s remarks about Building 7 are especially apropos. Polls by Architects and Engineers for 9/11 Truth show that knowledge of the WTC-7 issue correlates with doubts about the official story of 9/11. Building 7 is the achilles heel of 9/11. It was an obvious controlled demolition, as any rational person who even casually investigates the issue discovers. Yet the government absurdly claims it fell down due to minor office fires! Why is the media covering up that a third tower fell that day – a tower that was the world’s 2nd biggest headquarters of the CIA, and that housed the SEC investigations of corporate crime including the Enron files, and that the landlord, Larry Silverstein, has even confessed to demolishing himself? Q: Were you aware of any cheering or celebrations—such as those referred to by Donald Trump—of Arabs or Muslims after the tragedy? A: There have been no fully documented cases of any Arabs or Muslims cheering or celebrating 9/11. But there were two reasons Trump may have mistakenly remembered such a thing. First, throughout the day on 9/11, the corporate media repeatedly showed purported footage of “celebrating Palestinians.” An investigation by German public television later showed that this footage was fraudulent. Some of it showed celebrations at funerals for Palestinian martyrs, filmed long before 9/11. In one case, a camera crew offered children candy if they would jump up and down and cheer (without having any idea what they were cheering for). So this was a carefully crafted psychological operation that must have been set up ahead of time by the perpetrators themselves. It inadvertently reveals the identity of the real perpetrators of the 9/11 attacks. The other thing Trump misremembered was the ethnicity and religion of the people who really were wildly celebrating in New Jersey that day: the so-called “dancing Israelis.” Former CIA officer Philip Giraldi summarizes the case of the dancing Israelis in his chapter in my book ANOTHER French False Flag. These four Mossad spies were caught after setting up ahead of time to film the destruction of the Twin Towers, then wildly celebrating as the Towers were hit by planes, burned, and then exploded. They later bragged on Israeli television that they had been sent there “to document the event,” and admitted, in so many words, that their tremendous joy at witnessing 3,000 people murdered was due to the fact that the attack would turn Americans against the enemies of Israel. Q: What is the best evidence you can present that ties the Israelis directly to the 9/11 incident? A: There is a lot of detailed evidence implicating the “dancing Israelis” and their Mossad masters, the Israeli/Zionist security agencies responsible for the WTC and the airports, and so on. For an overview, see https://wikispooks.com/wiki/9-11/Israel_did_it. PNAC, the Project for a New American Century, called for a “New Pearl Harbor” in September of 2000 and got one a year later. PNAC (now renamed FDD) was the leading neocon-Zionist think tank. Its members were mostly Jewish and all fanatically Zionist — the non-Jewish members, such as Rumsfeld and Cheney, were just “token goys” to camouflage the fact that PNAC was basically carrying water for the Likud government of Israel. The World Trade Center was privatized in 2001 by Jewish Zionists, namely Lewis Eisenberg, Frank Lowy, and Larry Silverstein, who is a close friend of Netanyahu. Silverstein, who ran an insurance scam that made billions of dollars from the illegal and homicidal demolition of the Trade Center, has repeatedly made statements that amount to confessions. Israel was the prime beneficiary of 9/11, which launched an endless war on Islam in general, and the “seven countries in five years” that posed problems for Israel in particular. Israel’s Mossad, as US military expert Alan Sabrosky says, is the only intelligence agency with the means, motive, and opportunity to pull off 9/11 – a very complex cover-and-deception operation that had to have been overseen by an intelligence agency. Jewish Zionists, ranging from hard-line neocons to “liberal Zionists” like Noam Chomsky, Norman Solomon, Amy Goodman, the management at The Nation (and much of the rest of the foundation/Soros-funded “alternative left media”), have led the cover-up of 9/11. Q: Has your research uncovered any evidence of foreknowledge of the 9/11 attacks? San Francisco mayor Willie Brown and author Salman Rushdie were both ordered by their (government-linked) security teams not to fly that day. Q: How do you interpret statements by major figures like Rudolph Giuliani that he received a call “that the World Trade Center was gonna collapse”? Or WTC owner Larry Silverstein saying that he told them to “pull it”? A: These statements are obviously extremely incriminating. Both Guiliani and Silverstein should be arrested, interrogated, and prosecuted for conspiracy to mass murder. Giuliani, who admitted that he was told that the World Trade Center was going to collapse, saved himself (by moving his Emergency Operations Team from Building 7 to the Pier) but failed to warn the firefighters, 343 of whom were killed in the explosive demolitions of the Towers. Q: What are the implications, from your perspective, if the American public comes to believe that Israel was involved (planned and carried out) the 9/11 attacks? A: As Alan Sabrosky says, this would likely mean the end of Israel as a genocidal, apartheid Jewish state occupying Palestine. I hope Sabrosky is exaggerating when he says Americans would nuke Israel and turn it into a glass parking lot. But Americans would certainly find a way to peacefully put an end to the illegitimate entity that not only attacked them on 9/11 but also has stolen trillions of dollars, dragged America into ruinous wars, destroyed our economy, and shredded our Constitution. I think it would amount to an order from the US to Israel: “Decolonize or else.” Those Israeli Jews who can get along with their Palestinian neighbors as equals would stay, while those who can’t would emigrate to places like Europe, the US, and perhaps Latin America. Liberated Palestine would end up looking a bit like post-apartheid South Africa. 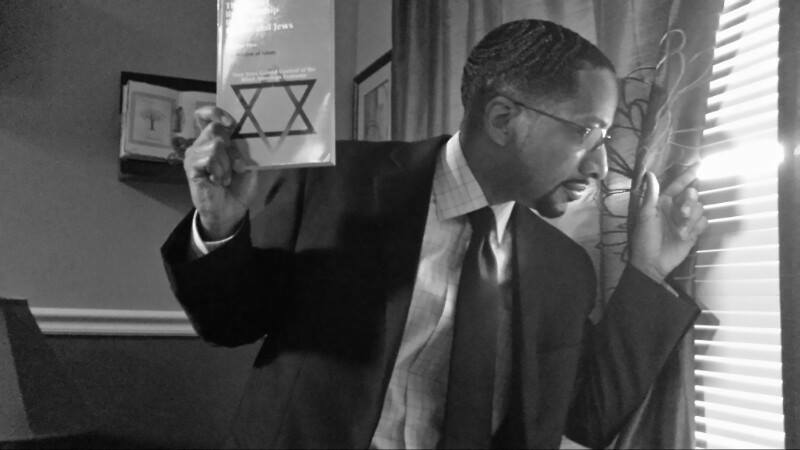 Q: Dr. Barrett, The ADL has been particularly vicious in labeling “anti-Semites” all those who press for answers—including yourself and The Honorable Minister Louis Farrakhan. What is their motive and how do you see the ADL’s role in this 9/11 tragedy? A: The Anti-Defamation League’s name suggests that it is against defamation. But its work consists mainly of defaming anyone who poses a threat to the Zionist movement. It functions as Israel’s American attack dog. The 9/11 false flag operation was designed to defame Arabs, Palestinians, and Muslims in general, in service to Israel. If the ADL really opposed defamation, it would be leading the charge for 9/11 truth. Instead, it is leading the movement to keep a lid on 9/11. This is pure intelligence-agency-style “damage control.” In slandering people working for the truth, the ADL operates as a de facto wing of the Israeli Mossad. When I was at the New Horizons Conference in Tehran last year, the ADL put out a hit piece on the conference. As we gathered around a breakfast table to read the ADL’s attack on the conference, everyone’s first reaction was “I hope they mentioned me!” The attendees were actually eager to be slandered by the ADL, because it means we must be doing something right. Some joked that it was like winning a Pulitzer or even a Nobel Prize. Those who were left out of the article were disappointed, and vowed to work harder next year. So it is quite an honor for the Honorable Minister Louis Farrakhan to be singled out for attention by the ADL. For a brilliant documentary film about how ridiculous the ADL really is, watch Israeli filmmaker Yoav Shamir’s film “Defamation,” athttp://www.imdb.com/title/tt1377278/.